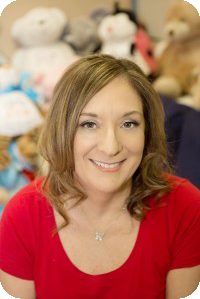 Embroider Buddy's® story began when inventor Donna Kotzer Jacobs joined the plush toy business that her father Morris started in 1944 in Toronto. 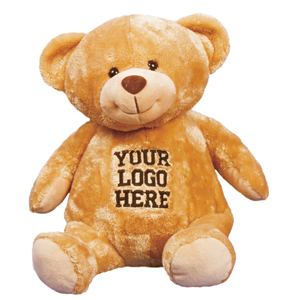 Servicing the gift, souvenir and specialty markets, Donna soon developed a successful line of stuffed bears and “Whatzupwiththat!®Bearwear” for the custom-imprint sector. But she quickly realized embroiderers needed something more. 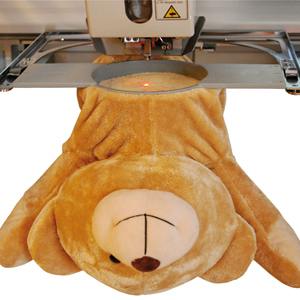 They wanted a stuffed toy with a large area to embroider, and stuffing that could be removed and re-inserted quickly and easily. There was nothing like it on the market. So she set to work inventing one. “I spent three years working and re-working prototypes,” Donna explains. “At first I was going to use Velcro. However someone questioned whether the design would be childproof…so I tried an invisible zipper. And so, the Embroider Buddy® was born. Its simple, innovative design makes embroidery as easy as 1-2-3! 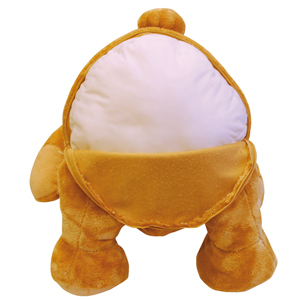 zipper and remove the pillow pouch. zip up and you’re done!